People come to Southwest Florida from all over the world for a variety of reasons; boaters, drivers, fishermen, shoppers, and golfers all feel right at home in Fort Myers. 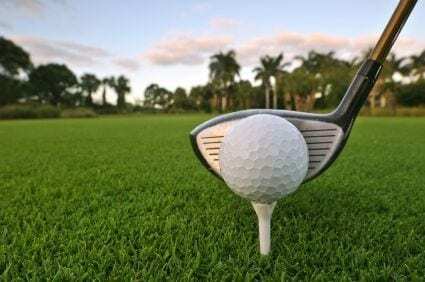 Many golfers come to the area because they can participate in their favorite sport year-round under the gorgeous Florida sunshine, and many even choose to fully integrate the sport into their lives by purchasing Fort Myers real estate located directly on a golf course or within a golfing community. Beginners will find that they can easily improve their game through lessons and leagues offered directly by some communities, and experienced golfers will find themselves continuously challenged by the variation in courses throughout the area. The following four communities offer not only the best amenities available to suit a year-round vacation lifestyle at affordable prices, they also offer some of the finest golfing in the entire state of Florida. 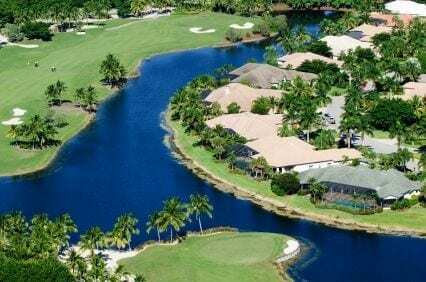 The Colonial Country Club is well known throughout Southwest Florida, and avid golfers will be thrilled to discover that the Club’s 18-hole championship course was designed by none other than famous golf architect Gordon G. Lewis. The course is perfect for golfers of all skill levels, whether you want to relax in leisure and enjoy the outdoors or really challenge yourself and improve your game. Those who simply want to brush up on their skills will also have access to the course’s putting green and driving range, as well as a handful of additional club amenities, including tennis courts, nature trails, a massage room, and a library. The best part? Condos and homes in the Colonial Country Club are affordable for most any budget and start in the low $100,000’s. Residents of the Gulf Harbour Yacht and Golf Club have so many amenities at their fingertips, it’s a wonder that they ever even leave their homes at all. This stunning gated community has its own marina, spa, and fitness center, as well as a private island featuring a kid’s playground, beach, and plenty of nature trails for observing Florida’s wildlife up close. However, the private 18-hole championship golf course, designed by golf architect Chip Powell, is the real star here. The private course at Gulf Harbour is situated on 6,700 square feet of lush tropical landscape, with each hole presenting a unique and distinctive challenge to golfers of any and all skill levels. The club also features a fully stocked Golf Pro Shop and plenty of golf activities for competing and socializing. Gulf Harbour offers both men’s and women’s leagues, and even a 9-hole league for the casual or beginning golfer. And with real estate in Gulf Harbour ranging in price from the low $100,000’s to around $6 million, homes are available in most budgets and to suit any lifestyle. The Legends Golf and Country Club delivers superior value to its members at the lowest cost of ownership available in the area. This newly renovated course, open to both members and guests, was designed by the late golf architect Joe Lee, whose courses have often been referred to as “American classics.” Lee’s philosophy was that “a day of golf should be enjoyable and not be a chore.” With this philosophy in mind, Lee’s courses are straightforward and designed with undulating greens and visible hazards – golfers will find no tricks here to trip them up along the way. Beginning golfers can also take advantage of the lessons offered here, which are available in couple, group, or one-on-one formats. Amenities abound for non-golfers as well, as the Club features a resort-style swimming pool, jacuzzi, fitness center, and bocce courts. Homes in Legends can be found to suit almost any budget, and start in the low $200,000’s. The popular community of the Lexington Golf and Country Club features two different villages to suit differing interests and lifestyles. Lexington Golf Village is designed for those who consider golf to be a lifestyle in itself. Golf Village members will enjoy no fees and preferred tee times on this 18-hole championship course, and with five tees on every hole, experienced golfers and beginners will all find something to inspire and challenge them on the green. Lexington Lake Village, on the other hand, is where non or infrequent golfers will feel more at home. Residents of the Lake Village will enjoy all the same amenities as the Golf Village, with the exception of the golf course, and will love the unobstructed views of the surrounding nature preserves while enjoying all the pleasures that a lake-front home can offer. Lexington Golf and Country Club has homes to accommodate any price point and style, with condos and coach homes starting in the high $200,000’s and villas and estates available starting in the low $300,000’s.